Geoffrey Plantagenet, sometimes known as Geoffrey Fitzroy, was an illegitimate son of Henry II. He was born about 1150, before his father married Eleanor of Aquitaine. Even though he had not taken holy orders he was appointed Archdeacon of Lincoln in 1171, in 1173 he was elected Bishop of Lincoln and his position was confirmed in 1175. Bishops of the middle ages held great power and were often involved in military actions, Geoffrey was no exception, in 1173 and 1174 he led a campaign to put down a rebellion by his legitimate half-brothers in the north of England. The King’s sons we unhappy about the gifting of three castles, in the inheritance of Henry the “Young King”, to John, the Kings youngest son, as part of a marriage settlement. The rebellion, which covered an area from southern Scotland to northern France, was put down . Henry and his sons were reconciled. Henry II ordered 10 castles demolished after the rebellion and several towns were badly damaged during the campaign. 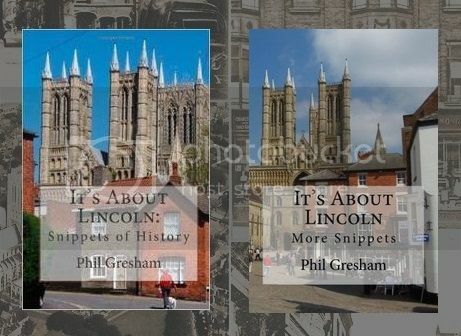 Geoffrey was not remarkable in any religious way but, during his time at Lincoln, he did clear off the bishop’s mortgage and add two bells to the Cathedral. Geoffrey resigned in 1182 to become Archbishop of York and was ordained in 1189 in Tours, France. He was the only one of Henry II’s sons attending when his father died in 1189. As Archbishop of York he was in constant dispute with his clergy and the king and, following a dispute with King John in 1207 about taxes, he fled to France where he died in 1212. Gallery | This entry was posted in Cathedral, Henry II and tagged Eleanor of Aquitaine, Henry II of England, Lincoln, Lincoln Cathedral. Bookmark the permalink.